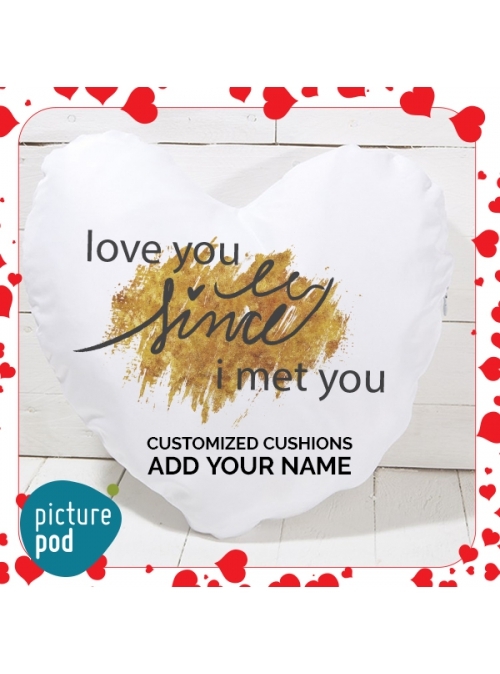 Show your valentine how much they mean to you! 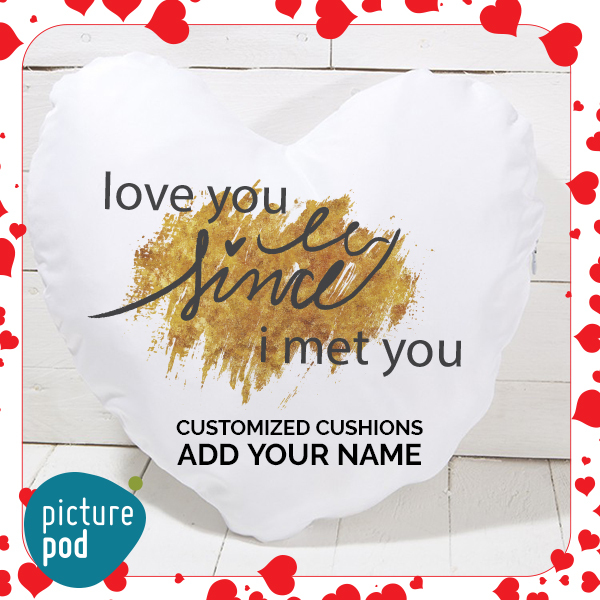 Heart-shaped double-side printed cushions in bridal satin material, personalized with your name/your valentine’s name/both. Send us the name/s on info@picturepod.ae along with the Order Number. Please mention how you want the names to be printed: same name/s on both sides or one name on either side.